Home > Money Matters > What is a Living Will? A Living Will may be appropriate if you care for someone who has a degenerative disease - perhaps dementia or another neurological disorder like Multiple Sclerosis. It can offer them the chance to remain in charge of medical treatment at a future date, when they can no longer communicate their wishes. Alternatively, perhaps you care for an elderly relative who would like to retain the right to make decisions with regard to medical treatment even if they were to fall ill and no longer have the mental capacity to make rational decisions. A Living Will is a legally binding option for people wishing to retain control over future medical decisions. It is not concerned with financial affairs. makes the Living Will voluntarily and not under the influence of someone else. The Living Will can be as detailed as desired: it can specify that antibiotics be avoided or that tube feeding or resuscitation not be attempted in case of an emergency. On the other hand, it may say that all life sustaining treatment should be attempted, even if it offers little chance of survival. However, unlike a refusal of treatment, a request for every possible therapy is not legally binding on the medical team. But at least they will know that the person wants every possible opportunity to recover from their illness even if the chances are slim. As well as detailing specific future instructions for medical treatment, a Living Will can also appoint a Health Care Proxy. This may be a close friend or member of the family who will make decisions on their loved one's behalf, should the need arise. If you have been asked to be a Health Care Proxy, you need to discuss in detail your loved one's preferences with regard to future treatment. It is also worthwhile writing down exactly what has been decided between you with the details kept safely for future reference. Why Consider a Living Will? If, for any reason, someone is worried about their future medical care, a Living Will offers peace of mind that their wishes will be followed. It is based on the principle that we are all entitled to refuse medical treatment. It simply offers this same right to people who are no longer capable of communicating their decisions effectively. Living Wills are recognised by all professional medical bodies including the British Medical Association and the Royal College of Nursing. 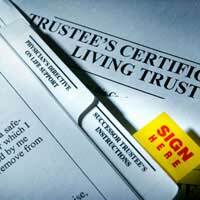 In theory, your loved one can write out a Living Will and sign it in the presence of any two witnesses for it to be legally binding. However, it is advisable for at least one witness to be either a doctor, magistrate or other suitably recognised professional unless the will has been drawn up by a solicitor. This avoids any future difficulties should family members question its content.